For those of you who still need a little somethin' somethin' for your V-Day gifts, then you're in luck! We have a lovely slate of label designs looking for a new home on your wrapped packages, boxes of sweets, or one of those free valentines you may have received from a certain Nimbus Factory! Enjoy! These are really pretty and fun - thanks for offering them. FYI, I couldn't download the Signed, Sealed and Delivered design, but had no trouble with the others. cute! thanks so much for sharing :) can't wait to use them next valentine's day. S.A.D - Single on Valentine's Day? 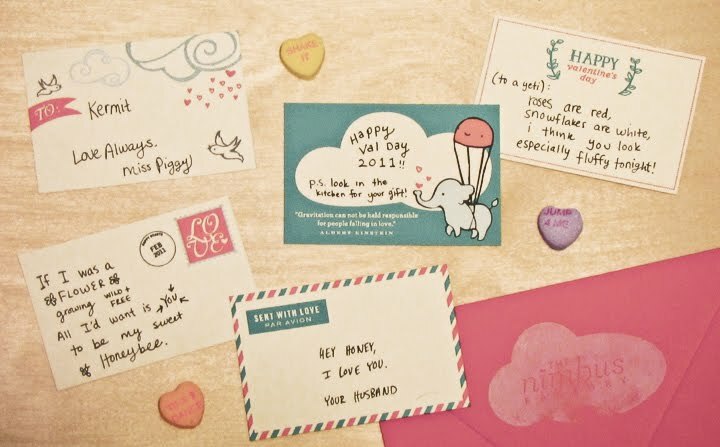 TNF V-Day Freebies #4,5,6: More Beautiful Tags!